San Jose city leaders are considering boosting the region's affordable housing supply in an effort that could drop rent prices for some residents plagued by soaring prices. Rick Boone reports. San Jose city leaders are considering boosting the region's affordable housing supply in an effort that could drop rent prices for some residents plagued by soaring prices. 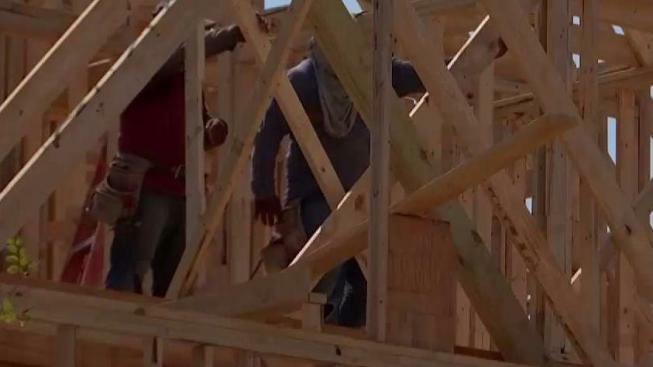 The city council is mulling an idea that would require new apartment construction projects to include a certain number of affordable units. The south bay city currently contains roughly 227 subsidized apartments, but a growing list of more than 17,000 people need an affordable place to stay. That list continues to increase as the average rent in San Jose climbs over $2,400 per month. A possible solution to the housing crunch is currently in the hands of Gov. Jerry Brown. He must sign a bill into law that would give cities the ability to require subsidized housing in new housing rental projects. Increasing rent prices across the Bay Area are continuing to drive residents out of the area. A Berkeley poll found that 51 percent of Bay Area residents have thought about packing up and moving out of the region because housing is simply sucking too much money out of their bank accounts.